Filled using 100% Pure Virgin Wool from Australia. White 233 thread count, 100% fine cotton shell. Box Stitching to prevent shifting. Royal Elite Goose Feather duvet encased in a 100% down-proof cotton shell and available in 4 sizes. Sizes and weights: Twin - 64 x 88" - 44 oz, Double - 78 x 88" - 56 oz, Queen - 86 x 88" - 64 oz, King - 102 x 88" - 74 oz. 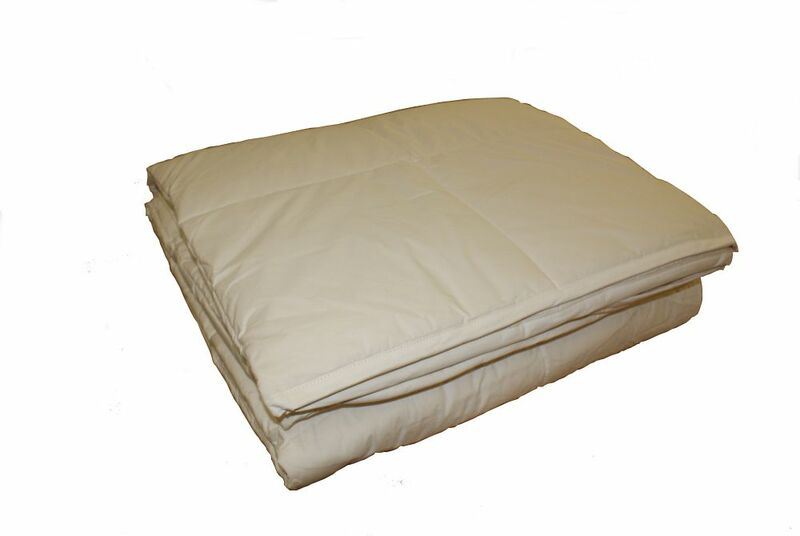 Wool Duvet, Super King Filled using 100% Pure Virgin Wool from Australia.